How do non-profit business credit cards work? Like other types of small businesses, non-profit companies may want to have greater flexibility when they need to make purchases or to pay for expenses. Some businesses want to get credit cards to provide more flexibility, but non-profit business credit cards may be difficult for companies to obtain. Non-profits are unique because they do not have owners on whose credit they can rely and must have established their own credit histories as organizations. Non-profit companies may want to consider getting debit cards instead of credit cards so that they can have greater flexibility and better expense management. What are non-profit business credit cards? Non-profit business credit cards are business credit cards that are owned by non-profit companies. 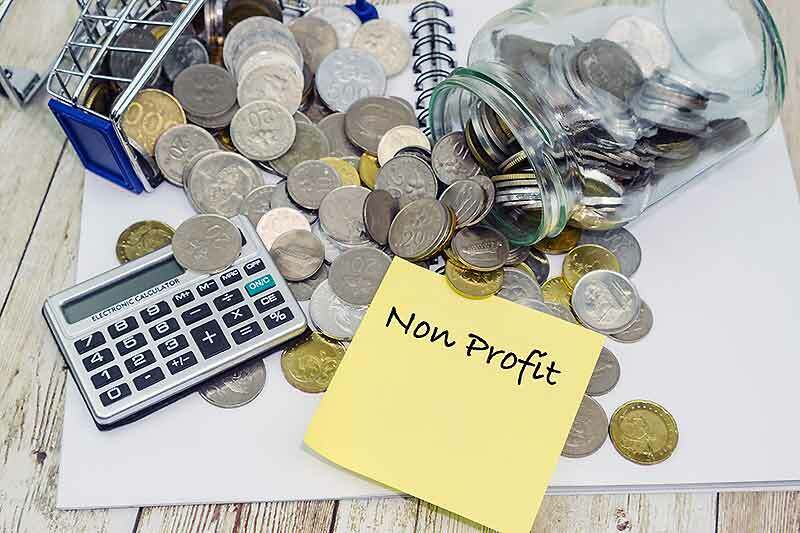 While there may be some offers with introductory rates of 0 percent and no annual fees, it is important for non-profit companies to understand that they do not have the same protections that are given to consumers. If the businesses plan to make large purchases with the credit cards, someone will likely be expected to personally guarantee the payment. Like other business credit cards, a credit card for non-profit businesses will require the company to make monthly payments until the balance is repaid. Debit cards for non-profits do not depend on the credit history of the organizations. These are cards that may be used to make purchases with the business’s own funds. No interest is charged on any balances, and debit cards may be used almost anywhere. Like credit cards, debit cards may allow non-profit organizations greater flexibility in making purchases when they are needed. What are the advantages and disadvantages of using a non-profit business credit card? Business credit cards have several advantages and disadvantages for businesses. When credit cards are used to make purchases, the businesses can avoid going through lengthy purchase-to-procurement processes. The non-profit business credit cards may allow non-profits to make purchases in a timely manner and may help the companies to get rid of expense reimbursement processes. However, they may also have interest charged on the balances, making the company’s liabilities larger. Credit cards may also be abused by employees who decide to commit fraud against the agencies for whom they work. Why might non-profit business debit cards be better alternatives? The debit cards for non-profits from Bento for Business might be a better choice for companies. The non-profit business debit cards do not require any credit approvals, making it possible for agencies that have not established their own credit histories to qualify. They also allow non-profit businesses to restrict the types of purchases that can be completed with each card. The companies can give cards to individual employees so that they can only make the specific types of purchases that are needed for their jobs. For example, if an employee must travel as a part of his or her job, he or she may be given a debit card that can be used to purchase gasoline but cannot be used to buy anything else. Another employee may be given a card that can be used to purchase office supplies. Non-profit companies can check their dashboards to see how their money is being spent at any time and turn off individual cards with the click of a button if they spot problems. The controls that are included with these cards may help to prevent fraud and to keep expenses under control. To learn more, contact Bento for Business today by calling 866.220.8455 or signup for our free 60 day trial.